AVELife TestGold Agent is a free light-weight assessment software. Now you need not pay for testing. 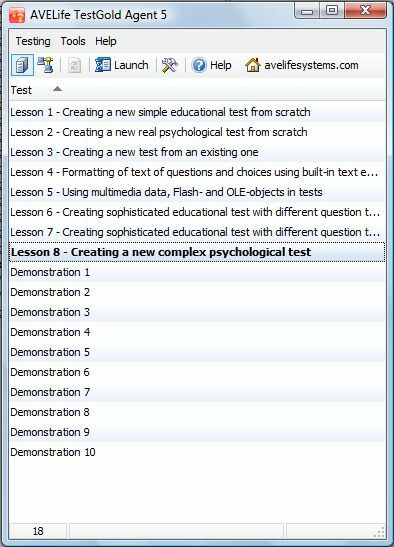 You can use this free assessment software for knowledge and psychological testing by TestGold technology. You can test whoever, anytime and anywhere, though it were your employee or distance student or job pretender. You can use the free assessment solution together with our professional assessment tool AVELife TestGold Studio to get most benefits. For more information visit ordering page. Also, feel free to contact AVELife Sales Department. Thanks to the free assessment software, nowadays, TestGold is one of the most cost-effective assessment solutions.